This summer, take care of your tresses by following best tips and tricks for healthy, shiny hair. Incorporate them in your beauty regime and see the difference! We all dream of healthy, beautiful, longer hair. Well, it’s time to start doing something about it. Making small changes in your hair beauty regime can really go a long way in helping you achieve your dream. That’s why we have brought you 7 tips and tricks for long and healthy hair. 1. 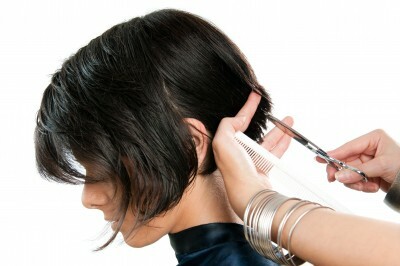 Trim your hair: It seems contradictory to cut your hair if you want it to grow, but trimming your hair every 3-4 months keeps it free from split ends and rough tips. This allows the healthy part of your hair to grow without having to battle the weak ends of your hair. What’s more, your hair remains in shape all year round. 2. 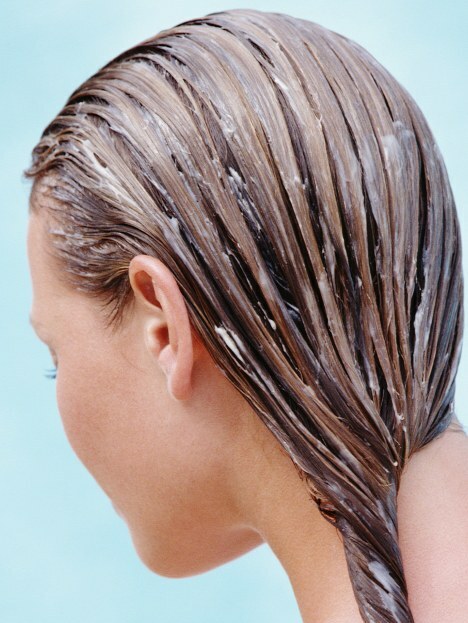 Use lukewarm water: Hot water strips your hair of its natural oils and leaves it dank and dull. It may feel like it cleanses your hair better, but truth be told, lukewarm water achieves the same effect with the added benefit of preserving your hair’s natural beauty. It is said that giving your hair the last rinse with cold water helps the cuticles seal and retain the nourishment. 3. 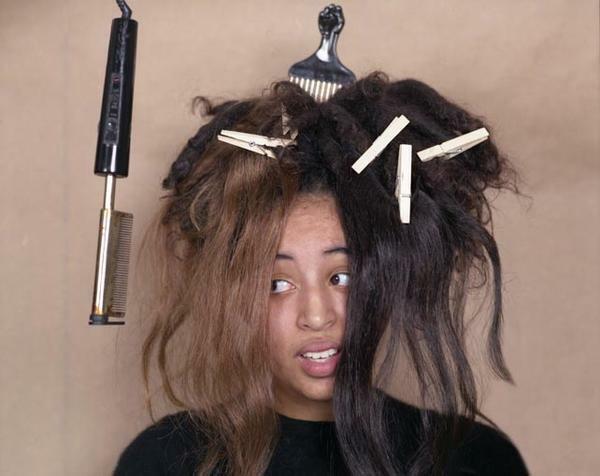 Avoid heat styling products: Hair dryers, straightening and curling irons are the worst enemies of your hair. These products do style your hair and make it look gorgeous for a morning or a day, but they damage it over the long run. A lot of us include an iron in our everyday hair styling regimes, which causes our hair to become brittle and dull. 4. Dry your hair right: If you can’t do away with your irons, wait for a longer time after your shower to style your hair. Dry off most of the water in your hair using a towel in soft circular motions without rubbing your hair harshly. Then give your hair an overall blow lightly, before introducing any heat styling products into the equation. 5. Use a shampoo+ conditioner set: For the best effect, when you wash your hair, use a shampoo and conditioner from the same brand, with the same benefit. If it’s is hair fall that you are fighting, choose the shampoo and conditioner that fights hair fall. 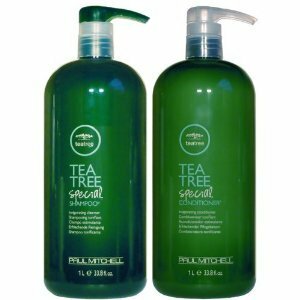 The combination is generally created using a similar formula, in such a way that using both together gives your hair the best possible results. 6. Hot oil massage: Once a week, rub some hot oil straight onto the roots of your hair. Keep it on for at least a few hours, before you wash it off. Hot oil reaches the roots easily and stimulates your hair from root to tip while giving you a relaxing feeling. While many say that the lengths of your hair don’t need oil, it is important to oil them anyway to keep them moisturized and naturally beautiful. 7. Nourish your hair: Your hair needs tender loving care to look its absolute best. Depending upon your hair type, find a hair pack or two which will give your hair the nourishment it lacks. Using the right hair pack once or twice a week over a period of few months, will help your hair build its strength and improve its beauty. There are many ways you can achieve a hairstyle that is good for your hair. You could stay away from chemical treatments unless they are absolutely necessary. To experiment with your hair without damaging it, consult your hairstylist!